The Bachelorette 2015 spoilers are rolling in, and fans of the ABC reality TV dating show are dying to know whether the Season 11 leading lady is Kaitlyn Bristowe or Britt Nilsson. During the Bachelor finale this month Chris Harrison announced that there were two 2015 Bachelorettes – because he and the producers couldn’t choose between Chris Soules’s castaways Britt and Kaitlyn. According to Bachelorette spoilers, it was up to the 25 guys to decide whether or not they wanted to compete for Britt or Kaitlyn’s heart. According to blogger and spoiler king Reality Steve’s Bachelorette 2015 spoilers, the jury is in and the guys chose Kaitlyn Bristowe as the Season 11 Bachelorette. The all new season of the ABC show began filming on Thursday March 12th, and 25 eligible bachelors arrived and spent opening night getting to know both women. Although the details are still sparse on how exactly they came to the decision – spoilers tease that they chose Kaitlyn Bristowe as the next Bachelorette. Bachelorette 2015 spoilers tease that although Kaitlyn Bristowe may be the official Season 11 Bachelorette, Britt Nilsson is still on hand filming and is somehow playing an important part in the show. Rumor has it that Britt may be getting another shot at love and possibly dating the men that Kaitlyn Bristowe eliminates and sends home. It seems pretty cruel for the Bachelor producers to keep Britt on deck just to date Kaitlyn’s sloppy seconds – but hey anything for the sake of ratings. Another popular theory is that Britt may be acting as Kaitlyn’s mentor or guide as she weeds through the guys – but that’s difficult to picture seeing as how Kaitlyn and Britt weren’t exactly BFF’s during their stint together on The Bachelor. 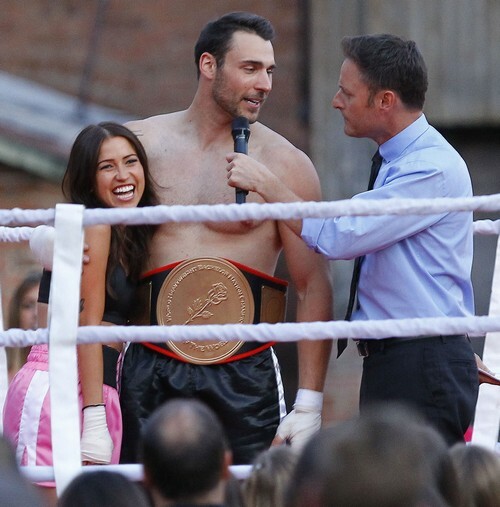 What do you think of the exciting Bachelorette 2015 twist? Are you happy Kaitlyn is the next official Bachelorette, or were you hoping that the guys chose Britt Nilsson? What do you think Britt’s role will be on Season 11? Let us know what you think in the comments below and don’t forget to check CDL tomorrow for more Bachelorette spoilers and news.